Soothing beard balm. Calms irritated skin. Strengthens and promotes hair growth. 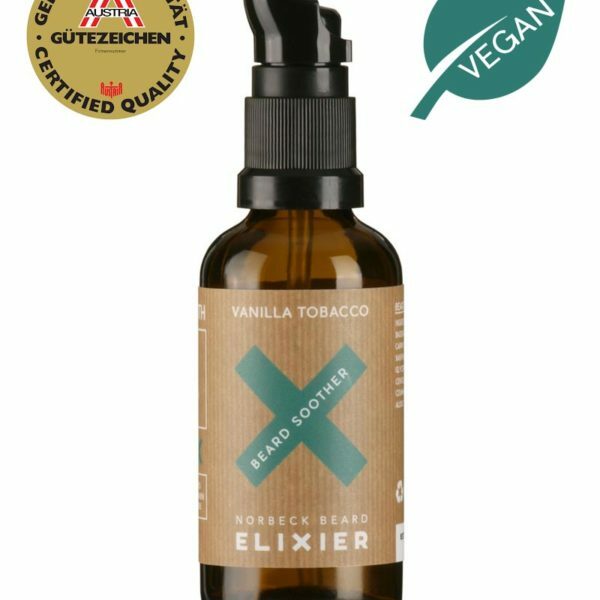 The Beard Soother not only nourishes dry facial hair but also stressed and tired skin under the beard. 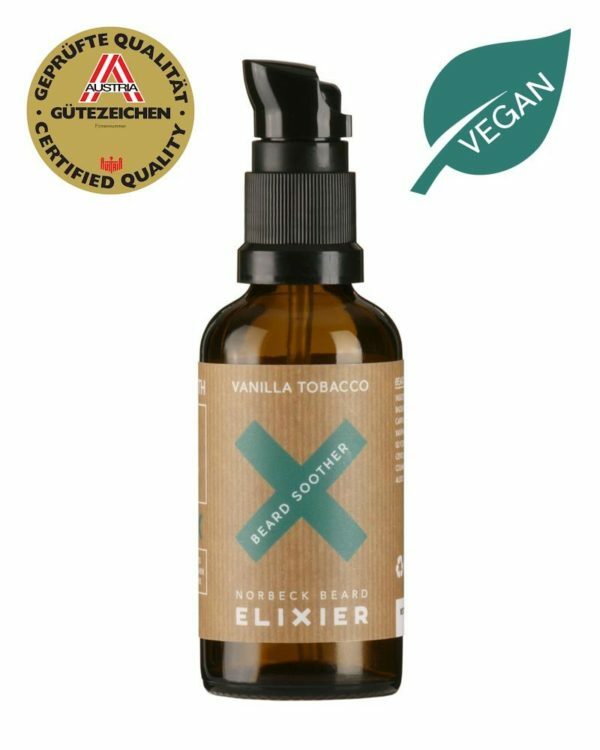 It is fast absorbing and already a hazelnut size amount of the balm is sufficient to fully unfold the Beard Soother’s effect. Furthermore, the Beard Soother contains the beneficial properties of Aloe Vera. The oil of sea buckthorn will bring glow back to chapped and dry skin. The beard Soother’s fragrance perfectly combines the scent of vanilla and tobacco. Our experiments have shown that women adore every man, who wears this fragrance. tolles Produkt, leicht zu verteilen, hält den Bart geschmeidig und hinterlässt einen wirklich angenehmen Duft.